Nirothini Pararajasingam is been recognized as one of the most talented authority and teacher in the world of ‘Bhartha Natyam’. In order to showcase her natural talent, she did form ‘Nirthya Kalanjali’ Academy of Fine Arts in Toronto, in 1990, and was responsible in training and completing almost 23 ‘Arangetrams’ for her wide circle of students. 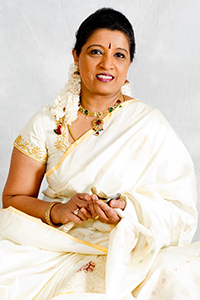 In addition, she is also a director of the Tamil Cultural Progressive Organization, Canada and is also a member of the South Asian Philanthropic Council of the Scarborough Hospital. One of her strongest achievement is to give back to the community through her art ventures. Through her Dance programs, she has raised funds for numerous charitable organizations – including Canadian Cancer Society, Tsunami Disaster Fund, Hospital for Sick Kids, Scarborough General Hospital, Rouge Valley Hospital, Holland Bloor-view Kids Rehabilitation and Heart & Stroke Foundation, to name a few. For her role in caring for the community, she has received numerous awards including the Lieutenant Governor Award in 2010. The highlight of her career took a tremendous leap this June, when she coordinated and assembled 1,117 dancers from 42 dance academies, along with the teachers to stage a grand performance, as being part of Canada’s 150th anniversary celebrations. The performance, which was considered as one of the largest of this kind outside India, capped along with a 150 member choir singing Canadian national anthem and ‘Thamil Thai Valzthu’. The event also raised $ 50,000 and was donated to the Scarborough Hospitals towards purchasing dialysis equipment. For her remarkable contribution towards arts, and her active role in contributing towards charitable causes, the Tamil Mirror proudly presents her with the ‘Outstanding contribution towards Arts Award 2017’.